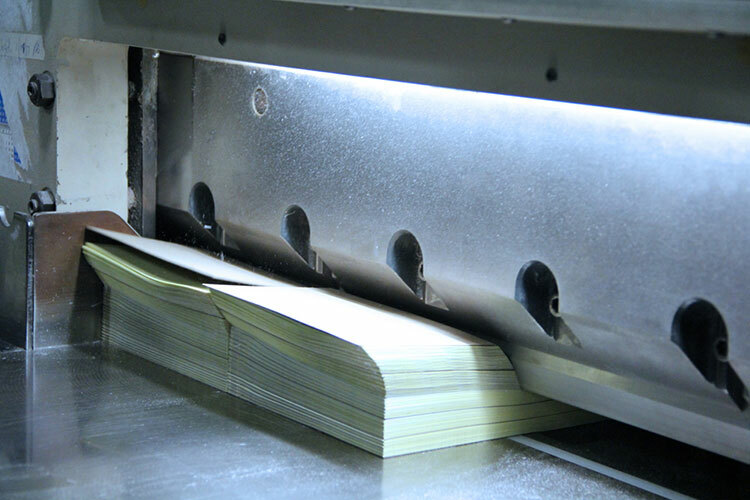 Short Run Forms has a long history of providing commercial printing and bindery services for various industries. Three decades of experience to be exact. 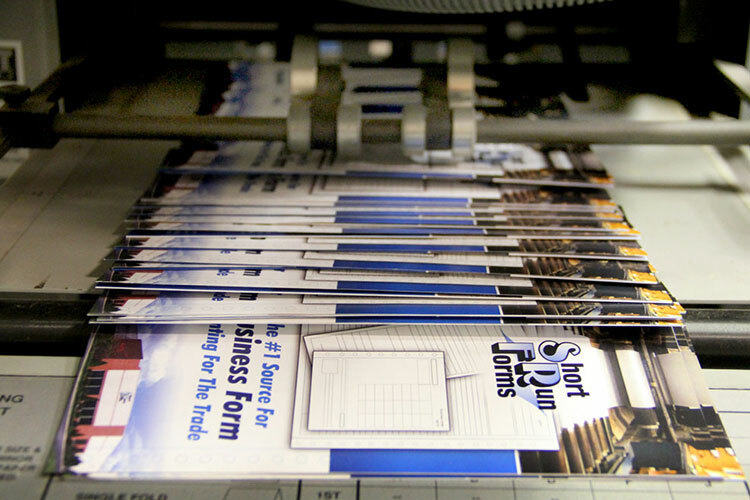 Short Run Forms operates the latest equipment and employs skilled printing pressmen to precisely cut, shrink, stitch, hole drill, crease or fold your finished product. No matter what type of job you are printing or how many, Short Run Forms will provide the care and attention to detail your project deserves. 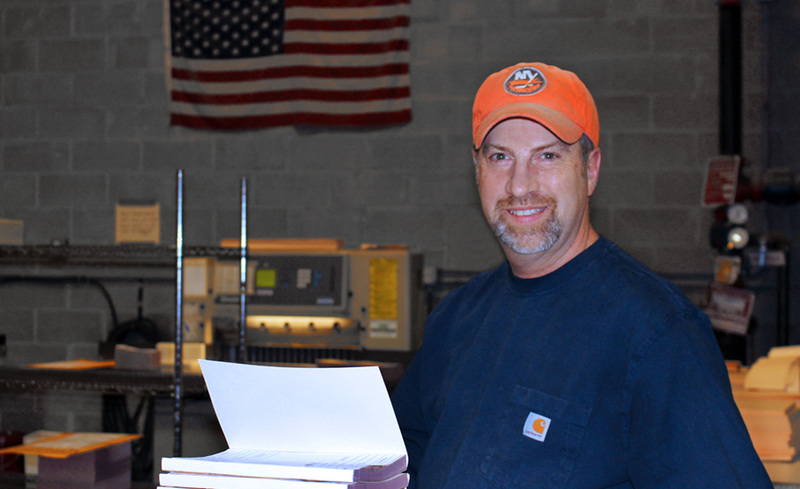 The bindery services department is the best in the industry. Need some customized finishing out of the ordinary? No problem. Thousands of jobs have crossed our printing path. 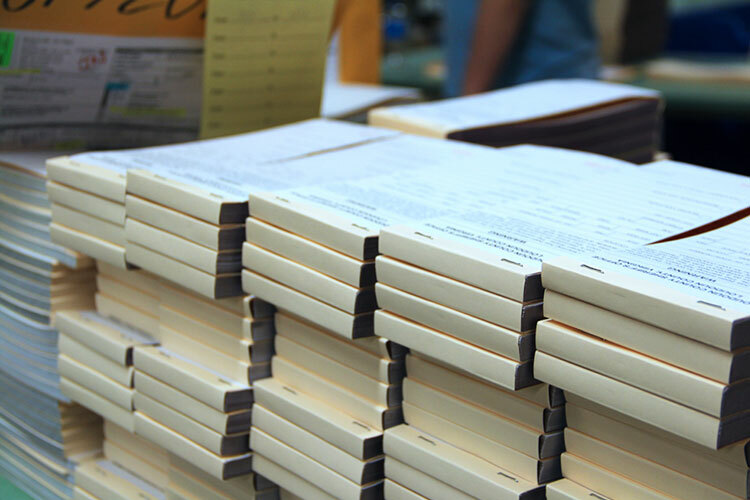 The Short Run Forms bindery department takes great care in knowing your clients final product will be a reflection on YOU. We will do our best to make you look great. We currently have 5 programmable and extremely precise cutters to make sure your job is the correct final size. We take very good care of our blades to make sure there are no imperfections in the stacks we cut. Our cutters allow us to do any custom size you are requesting. 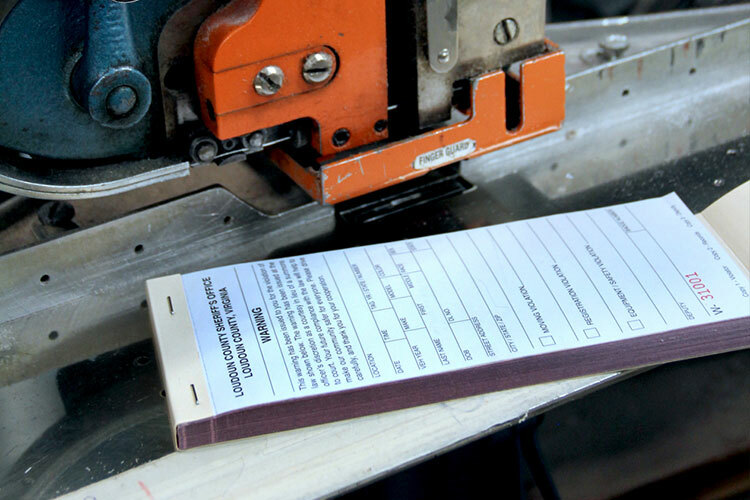 To minimize marks on your forms, our machines allow us to adjust clamp pressure so your job comes out nice and clean. 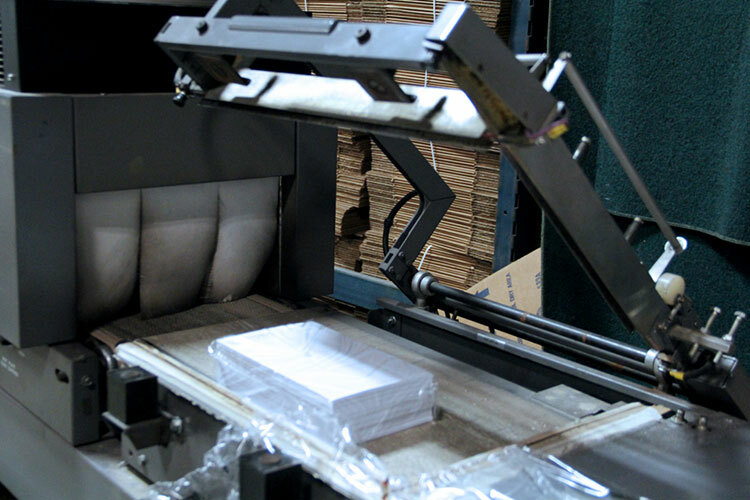 Our 8 shrink wrapping machines allow us to always get your jobs out on time. We can wrap packs as small as 5’s, but generally we wrap in packs of 25’s, 50’s, 100’s, 250’s and 500’s. Our shrinkwrap material is high-quality. We make sure your packs are nice and appealing when your customer gets them. All of our inks are HEAT RESISTANT. 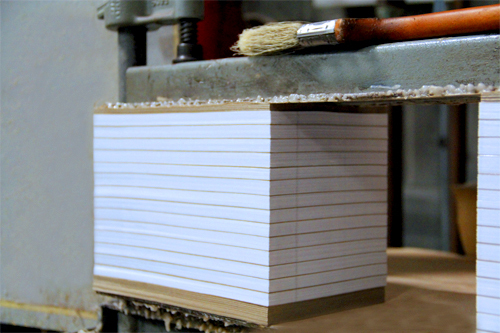 The last step in finishing off wraparound books is with clean and precise staples from one of our 3 stitching machines. Our crew makes sure your staples are straight and the correct length. We also make sure that no sharp edges stick out in the back. When wrapping book jobs with numbers, we expose the first sheet by tucking the cover under it, so you know what book you are picking up. We have 3 drilling machines to give that final treatment to the types of forms that fit into binders. Prior to every job, we make sure that the drill bits we are about to use are sharp. If not, we have the ability to quickly sharpen them ourselves. While our standard amount of holes is 2, 3 or 5, we can handle mostly anything you ask us to do. Standard hole sizes are 5/16, 3/8 and 1/4. Our programmable creasing machine allows us to make completely accurate creases in the exact spot we need them to be. We make sure your creases are straight, so your printing piece folds perfectly. Some of the things we crease are tag covers for wraparound/manifold books, brochures and covers for digital printing products. We have the capability to fold your job into a beautiful printed piece. We can handle small or large runs. Types of folding includes bifolds, trifolds and Z folds. 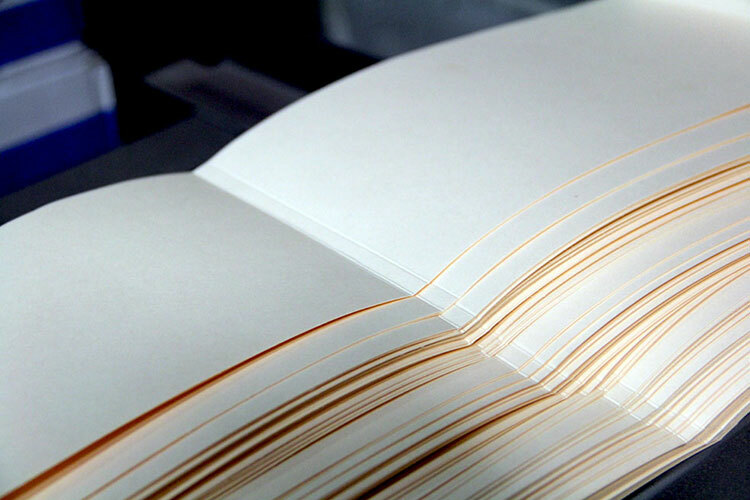 When it comes to coated texts and covers, we will crease them first to ensure that when they fold, there is no cracking on the edges. Wraparound covers are a great way to finish a book job. 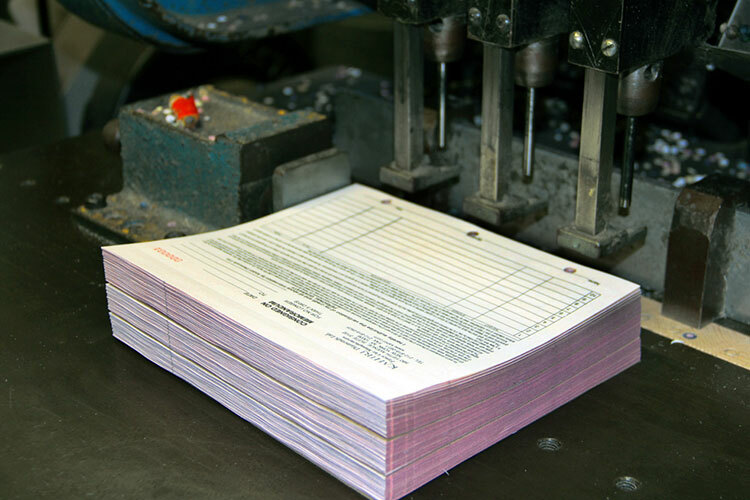 Not only do they protect the forms when printed, they also protect each set from writing through to the next by tucking the top flap under the first form. Covers come in 125lb manila or white tag. We also have the ability to print on these covers in full color or black. We have the ability to pad a variety of sizes on our padding machines. Need a small desktop pad? We can handle that. Not only can we pad bond, but we can also pad NCR. All of our pads have a chipboard back adhered to them and we use high-quality glue products to make for a beautiful finished piece.